5 Practically Proven Activities to Teach Vocabulary Effectively. 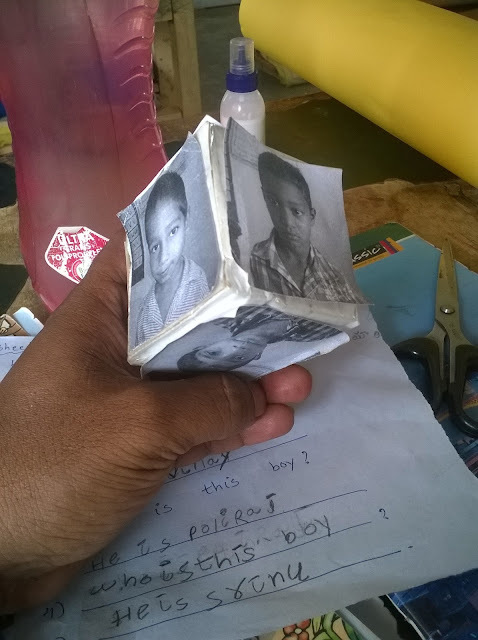 Topic: Vocabulary, Grade: Pre Primary and Primary, Skills: Reading and Writing. Vocabulary is the heart of the language, and it is the primary thing to speak a language. Teaching vocabulary is a great challenge to the teachers teaching English as a second or third language. Children also facing learning difficulty to spell or write the word correctly. But different learning-oriented activities will help to reduce the disorders in teaching vocabulary. Here are five practical activities to learn the vocabulary effectively. 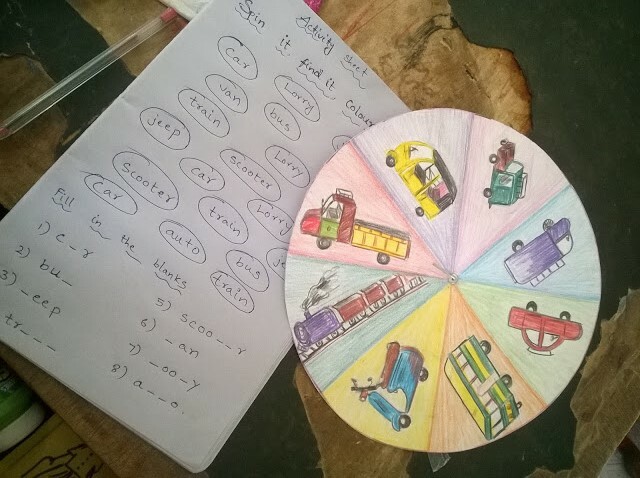 Topic: NAME Grade: Pre Primary and Primary Skills: Listening, Speaking, reading and Writing. This is one of my best activities to teach children's name and develop questioning to get his or her name. I did this activity in a part of my lesson to know how to spell and write their names of my children. I targeted the language function "Who is this boy or girl?" in order to get to know and write their friend's names along with his or her name. Activity-based teaching will always stimulate the turn the classroom into an effective learning environment. The main aim of the activity is to learn the different forms of the plurals and easy understanding of writing a plural of a word. This activity gave an overall understanding of plurals to my children. 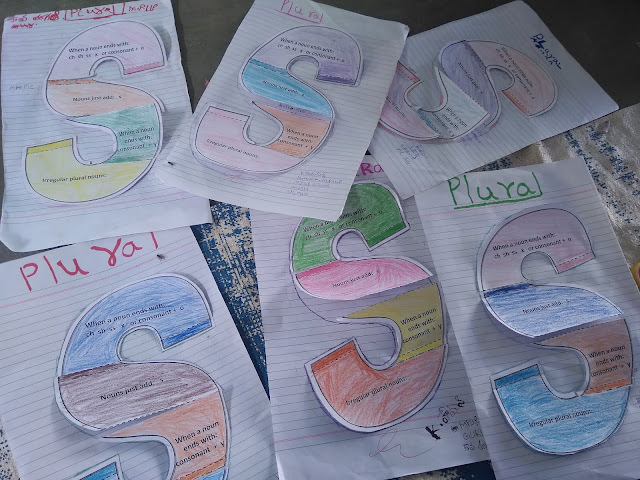 I planned this activity for better identification of plural once I completed the topic. I gave this S worksheet to my children and asked them to cut and past shown in the picture. 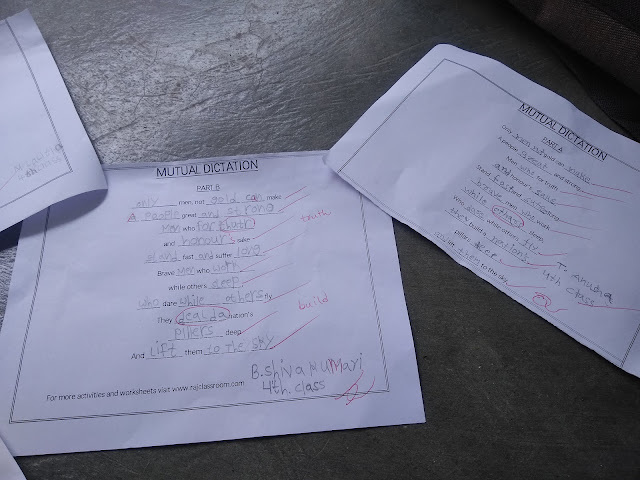 Later I told them to write the words and their plurals in the correct section in the S. Children easily identify the word and write the plural very easily by reading and understanding the instructions on the S worksheet. Download the worksheet from below link and do this activity in your class. I found this activity on "PINTEREST." Topic: The Nation's Strength - Rhyme Grade: 4th Skills: Listening, Reading and Writing. Pre-Primary Self Learning Digital Material -"School and Numbers"
This is a presentation slide based on the picture given in the first-grade English textbook of Andra Pradesh. I prepared this to enable the learner-centered classroom environment and create some interest to learn the language by using this digital material. And children can easily attract to the touch and learn learning material than regular teaching. In the below slide I enabled like if you touch on the picture you can the description along with audio. So children can easily learn their own and speak about the characters and place in English. You can download the slide from the below link.